The word vegetable is from the Latin vegetare “to enliven,” from vegetus “vigorous, active,” from vegere “to be alive, active” in reference to a plant growing. In common speech, a vegetable is the edible part of a plant that is not sweet-tasting. The use of the word vegetable can be somewhat arbitrary because of that. For example, in Mexico and the U.S., the avocado is used in salads and dips, and is therefore considered a vegetable. However, in Brazil the avocado is eaten with sugar as a dessert or in milk shakes, and is considered a fruit. To see which foods are considered to be vegetables that may actually be fruit, read the tip Fruit Defined. Botany is the science of plants. It involves study of the structure of plants and results in their classification based on their structure. In botany, parts of plants are not named based on their taste. A vegetable is the edible part of a plant that does not have seeds. This would mean the leaf, stem, or root of a plant. For example, the part of the carrot plant that we eat – the carrot – has no seeds in it and is classified as a vegetable. Buds such as Brussel sprouts and capers. 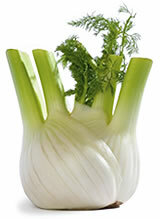 Bulbs such as fennel, garlic, onions, and shallots. Flower buds such as artichokes, broccoli, and cauliflower. Leaf sheaths such as leeks. Leaves such as beet greens, bok choi, collard greens, endive, kale, lettuce, spinach, and watercress. Roots such as beets, burdocks, carrots, parsnips, radishes, rutabagas, and turnips. Sprouts such as alfalfa, mung beans and soybean. Stems of leaves such as cardoon, celery, lemon grass, and rhubarb. Stem shoots such as asparagus, bamboo shoots, and ginger. Tubers (a fleshy, usually rounded outgrowth of a shoot below the earth) such as Jerusalem artichokes, potatoes, sweet potatoes, taro potatoes, and yams. May your body be enlivened through vegetables!